Seldovia is one of five first-class and home-rule communities located within the Kenai Peninsula Borough, State of Alaska. Operating under Alaska Statue, Title 29, Seldovia is a first class city with a city manager form of government. The Department of Community and Economic Development certified Seldovia’s population at 243 in 2011. 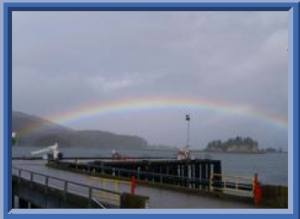 Seldovia enjoys a seasonal visitor industry as well as commercial fishing and shellfish farming. 175 homes are served with piped water and sewer. The city maintains 3 miles of roads and infastructure within city limits. Our school, Susan B. English School, K-12 is part of the Kenai Peninsula Borough School District. Seldovia is acccesible by boat or plane. A state-owned 1,845′ long by 60′ wide gravel airstrip and a seaplane base are available. The City is served by several scheduled and chartered aircraft services. The Alaska Marine Highway connects Seldovia to Homer, where the Sterling Highway provides road access. Several water taxis and ferry charters also provide service to the community. A small boat harbor, city dock, boat washdown, boat haul out and secured storage yards are available,as well as a harbormaster and two launching ramps. Power is provided by Homer Electric Assiociation Co-op. Fuel is provided by locally owned and operated Seldovia Fuel & Lube. Jakolof Bay road winds for 10 miles through private and Seldovia Native and Village lands along the coast to Jakolof Bay Dock.